Monterey Bay Aquarium and The Benioff Ocean Initiative at the University of California, Santa Barbara (UCSB) will co-host a science summit on the subject of ocean plastic pollution in Los Angeles. 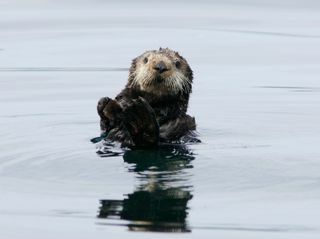 The southern sea otter, Enhydra lutris nereis, continues its climb toward recovery, according to the annual count released today by the U.S. Geological Survey and partners. Monterey Bay Aquarium Seafood Watch ® and the United States Agency for International Development Oceans and Fisheries Partnership (USAID Oceans) have just launched a partnership to improve the traceability of seafood products entering the North American market. The Monterey Bay Aquarium has stepped up its alternative transportation program for staff and visitors to take pressure off streets in New Monterey during peak summer months and construction of the Holman Highway roundabout.